The last thing that kids want to spend time doing is brushing their teeth. Of course, a good parent like yourself understands the importance of helping your children develop good dental hygiene – after all, you wouldn’t be reading this article if you didn’t truly care. But the question arises, nonetheless, as to how we might better help our children keep their teeth clean. 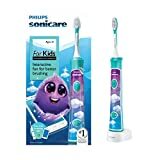 An electric toothbrush is one way to approach this problem, but it’s important to choose an electric toothbrush that is designed exclusively for children and to meet and exceed their unique dental needs. 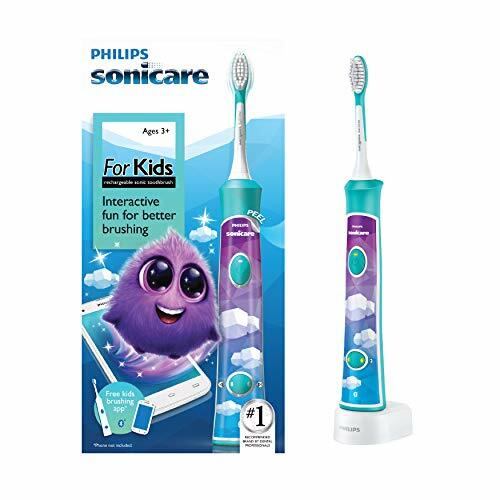 Without further ado, read on to learn more about what we contend is the best electric toothbrush for kids: the Philips Sonicare HX6311/07. Children have more sensitive gums and teeth - this sensitivity means you need to take extra care in choosing a product which isn't too rough on the gums and teeth, thus preserving their structure and preventing pain. Children won't necessarily know how much time they need to spend brushing each section of their mouths. A toothbrush which contains a built-in timer and pacer will be instrumental in helping to encourage the growth of good dental habits. Lastly, cool patterns, designs, and stickers can be a great way to make the experience more fun and personalized for your children. They're not completely essential, but they can definitely help in making the experience more pleasant. Based on the three criteria we identified above, choosing to invest in the HX6311/07 is a great choice for those individuals on the hunt for a toothbrush that is ideal for young children. To that end, let's take a closer look at the features of this brush and see how they stack up against the competition - we'll look at both the pros and cons to help you make an informed decision when it comes time to purchase a new brush. Built-in KidTimer ensures that your child will brush for the recommended two minutes. It makes it easy to establish a schedule and introduce good habits at a young age. KidPacer technology helps your child to determine how long they should brush a particular part of their mouth, thus leading to a good distribution of brushing across all teeth. This will help prevent cavities, plaque, and gingivitis. A soft and rubber-based brush head will prevent any damage to your child’s teeth or gums – it was designed specifically to avoid this kind problem. 8 different designs and stickers mean that you’ll have plenty of choices in how you customize it – a great benefit to have in a kid’s electric toothbrush. May not be ideal for individuals who are older – it’s important to keep in mind the age and unique dental needs of your child. Due to the safeguards in place to protect sensitive gums and teeth, it may not be as effective as a regular brush head. Be sure to keep this in mind when you make your decision. Of course, there are many other electric toothbrushes out there as well. Philips Healthywhite and Essence brushes are two of these other choices, and they can both play a role in ensuring healthy teeth and gums. Ultimately, it's up to you to decide which brush is most suitable for your current dental circumstances. At the end of the day, you're a busy parent who just wants to make life easier. When it comes to ensuring your children use proper brushing techniques, the Philips Sonicare HX6311/07 is the ideal electric toothbrush. We hope you enjoyed reading this review of the product, and we sincerely wish that it helps you to make an informed purchase decision. Best of luck, and remember: Brush twice per day, and floss once per day for great dental health!